If you would like to make a donation online, click the Give Now button below. If you prefer to send your gift through the mail, just download and print this form and send it back to us at the address below. Are you interested in a longer partnership? You can make a pledge that can be paid monthly, quarterly, twice a year or annually for one to five years. Click the Make a Pledge button below and select the “I would like to make scheduled payments” option below the areas of support. If you prefer to submit you pledge via mail, just download and print this form and send it back to us at the address below. You can also provide support without writing a check. With a little planning you can leave a legacy by including the CVM in your estate or financial plans. Excitement, adrenaline, competition and generosity are all rolled into one 24-hour period! 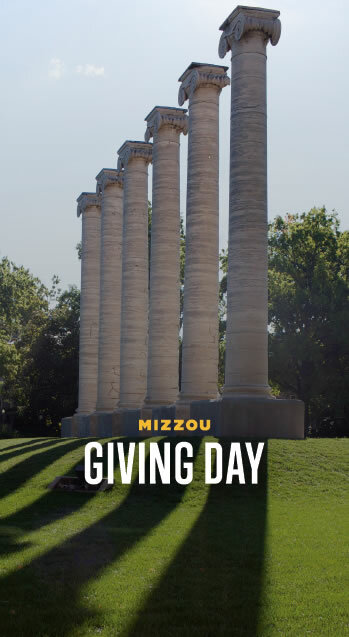 Mizzou Giving Day is an opportunity for everyone in the Mizzou family to support what we love about Mizzou. Give today and tell your friends.